STARKVILLE, Miss. -- The time of year has come for producers in Mississippi to provide input on agricultural programming and research at Mississippi State University.  The MSU Extension Service and Mississippi Agricultural and Forestry Experiment Station will host three Producer Advisory Council meetings in February. The meetings give producers across the state an opportunity to communicate their needs to Extension and Experiment Station personnel. On Feb. 20, the Central Mississippi Producer Advisory Council meeting will be held in Raymond at McKenzie Arena behind the MSU Central Mississippi Research and Extension Center. Register for this meeting by contacting Amber Clincy at 601-857-2284 or a.clincy@msstate.edu. 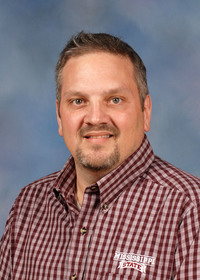 The North Mississippi Producer Advisory Council will meet on Feb. 21 in the Magnolia Building at the North Mississippi Research and Extension Center in Verona. Contact Casey Watts at 662-566-2201 or crn16@msstate.edu to register for the meeting, or visithttps://register.extension.msstate.edu/north-mississippi-producer-advisory-council-meeting.. The Coastal Producer Advisory Council will meet on Feb. 26 at the Coastal Research and Extension Center in Biloxi. To register, contact Lester Mitchell at 228-546-1004 or lester.mitchell@msstate.edu, or visit http://coastal.msstate.edu/advisory. Each meeting will begin with registration at 8 a.m. and conclude around 3 p.m. Lunch is included. The meetings will begin with general sessions before breaking off into several commodity groups. These include agritourism, apiculture, aquaculture, beef, cotton, dairy, equine, forestry and wildlife, fruits and nuts, goats and sheep, grain crops, ornamentals, peanuts, poultry, sweet potatoes, swine, turf and vegetables.